All that being said, I’ve never posted a peanut butter cookie recipe. I know. How could I let this go unnoticed for so long? I guess I should thank my husband for making the recommendation because if he hadn’t, who knows how long my blog would have gone peanut butter cookie-less. Tragedy averted. These cookies are melt-in-your-mouth good. Literally — they melt. And when topped with a sprinkling of sea salt AND Reese’s Peanut Butter Cups? OMG. 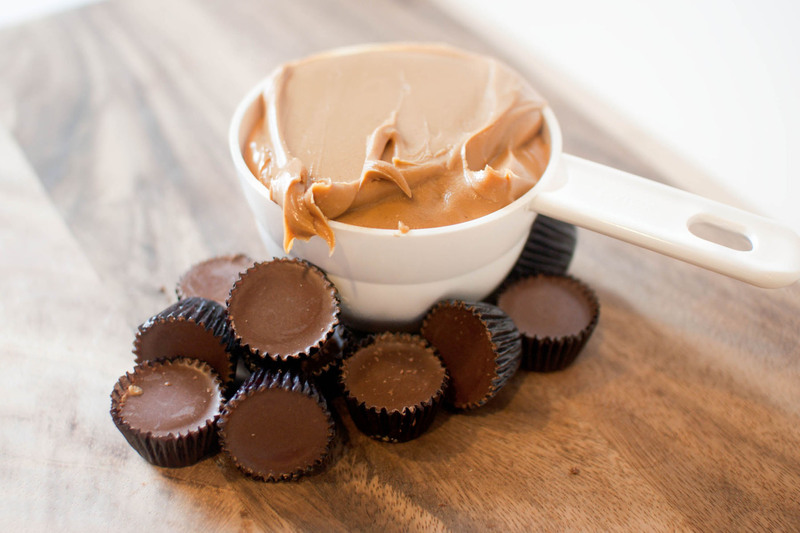 Peanut butter heaven! Although I’ll warn you in advance — it’s impossible to stop at one. 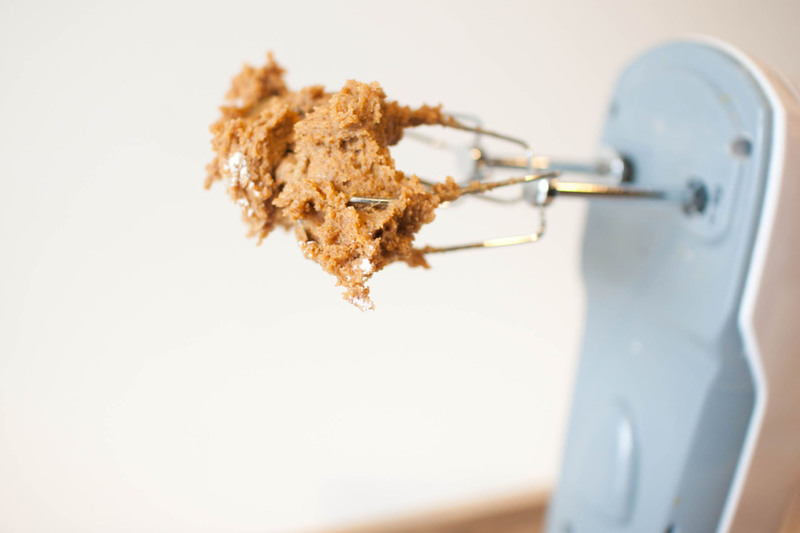 Using a hand mixer, combine peanut butter and sugars until well combined. Add egg and beat until well mixed. Sprinkle the flour mixture over the wet mixture and beat just until combined. Cover bowl with plastic wrap and let the dough sit in fridge for about two hours (or more). When ready to bake, preheat the oven to 350 degrees. Using a cookie scoop, portion dough into 12 equally sized cookies and place on a Silpat-lined baking sheet. Sprinkle each cookie with a tiny bit of sea salt, then use the bottom of a glass to lightly press the cookie dough into flat, round disks. Bake for 7 minutes, remove from oven, and top each cookie with a generous topping of chopped Reese’s Peanut Butter Cups. Return to the oven for an additional 6 or 7 minutes. Let cookies cool on a cookie sheet for about 10 minutes before moving them to a wire rack. I had the opportunity to try these cookies yesterday. They are absolutely decadent. My mouth is watering just thinking about them! Peanut butter always deserves its own tab/category/state of being. These look like I could eat one and die happy. Peanut butter cookies. Yum. Love peanut butter in anything. Thanks for the recipe. Now that is a gorgeous PB cookie. I am just a little obsessed with PB too (or a lot obsessed). I wonder how many PB recipes I’ve posted so far? Wow. I love this! I can eat peanutbutter cups like no other! These were awesome. I couldn’t resist crushing an extra half dozen peanut butter cups and mixing them into the batter, which works well. I’m curious which peanut butter you used? I used Skippy Natural, but the consistency of natural peanut butters varies wildly. That’s what I used too, but not what I buy normally. I knew it was less oily than some of the other brands which I thought would work best here. I love the sea salt on top! 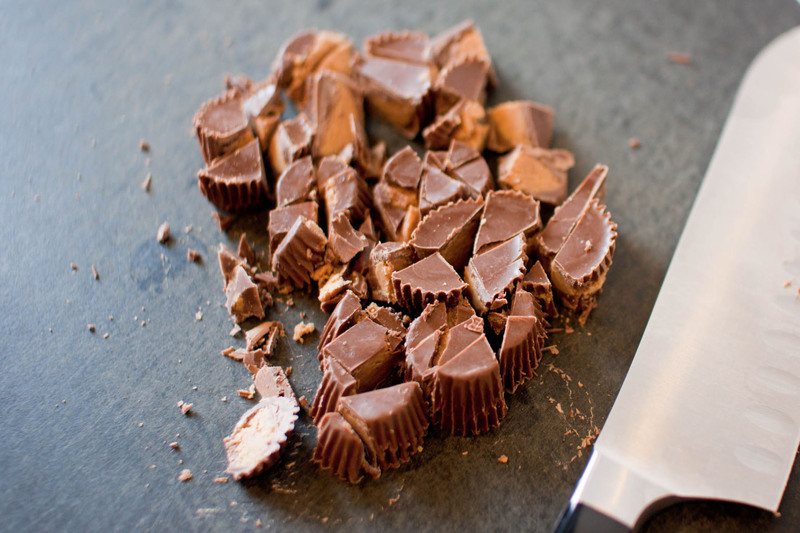 Thinking about the combination of sea salt, peanut butter, and reese’s cups is making me hungry – looks great! Oh wow these are right up my alley! They look amazing. I am going to have to try these soon. Now I know what to do with all the Reeces cups in my children’s Easter baskets! 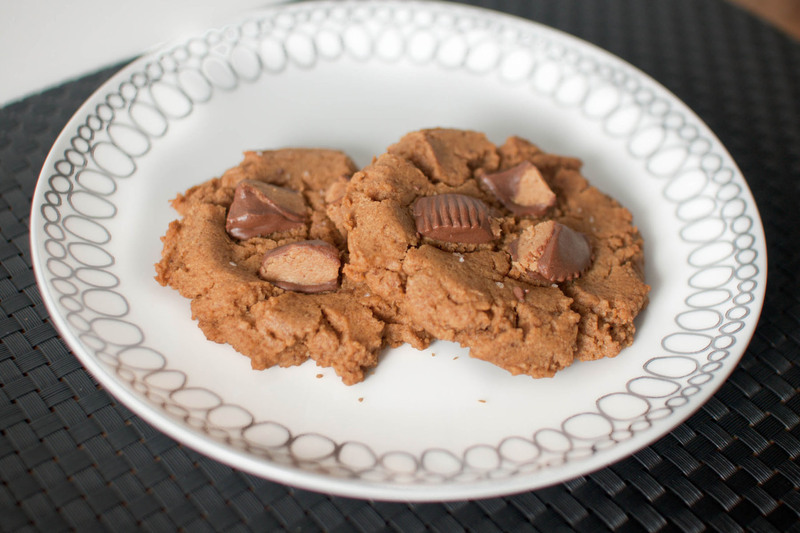 These look mouth-watering… the best looking peanut butter cookies I’ve seen! You just made my mouth water! Those look absolutely gorgeous and delicious! I have a pretty serious peanut butter obsession myself so I totally get it. The more peanut butter the better! Especially in cookie form. Oh that has go to be delishhhhh-ious! These sound awesome. I love a peanut butter cup and in cookies – nothing tops that. Oh wow, those look so good! The texture looks incredible too. Love the touch of sea salt!